After Thursday’s fiasco in Kazakhstan, those Tartan Army foot soldiers who somehow remain resolutely committed to following Scotland wherever they go must be eyeing their remaining travel itineraries on the Euro 2020 campaign trail with a sense of dread. If we can still assume that even Alex McLeish’s beleaguered squad will avoid further damage to their battered reputation when they face the world’s worst international team in San Marino tomorrow, then the next road trip with the potential for serious pain for Scotland supporters comes on 11 June. That’s when the Scots will face the brilliant Belgian side currently No 1 in the Fifa world rankings. But if that’s a date to be approached with genuine foreboding, it’s a less trailed event on the Scottish football calendar 24 hours later which could be just as significant in the ongoing malaise which has enveloped the country’s national team. On 12 June, the Scottish FA will hold its annual general meeting where, as things stand, Rod Petrie is poised to be elected unopposed as the governing body’s new president. There remains a possibility someone may lay down a challenge to the Hibernian chairman’s right of accession to the role. Rival candidates have until 31 March to lodge their intention to stand against Petrie and it’s understood there are some on Hampden’s sixth floor, perhaps further down the corridor in the offices of the Scottish Professional Football League, who are keen to see a contest rather than a simple coronation. Because for many of those keen to see progressive change at the top of Scottish football, Petrie is perceived as very much part of the problem. He was instrumental in the appointment of McLeish as national team manager in February last year, a recruitment process which became excruciatingly ham-fisted after the protracted and failed bid to persuade No 1 target Michael O’Neill to take the job. The decision to give it to McLeish, who had been out of work for almost two years, left the Scotland support underwhelmed to say the least. On the evidence of the execrable performance and defeat in Kazakhstan, it now looks like a major error of judgment on Petrie’s part. A member of the Scottish FA board since 2007, his path to the presidency has been mapped out for some time. But if they hope to rid themselves of their cliched image as an old boys’ network, then the established practice of simply passing the chains of office down the line should be stopped. That might be acceptable if being president of the Scottish FA was purely a ceremonial role. It isn’t. It is a position of considerable influence, including holding the casting vote in the event of a tied vote among the Scottish FA board of directors who are the final authority on any major decisions – including the hiring and firing of managers. 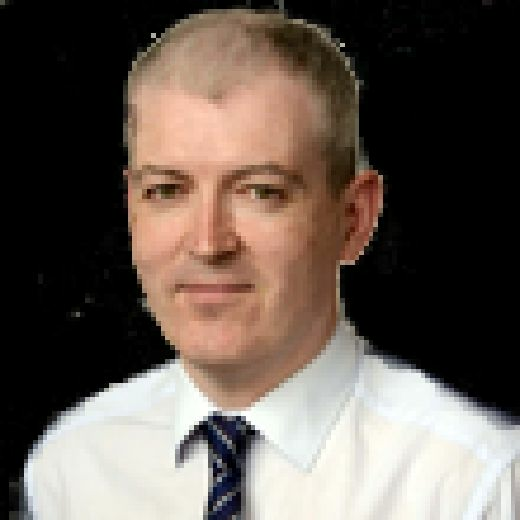 Those who championed the credentials of Ian Maxwell when he was appointed chief executive of the Scottish FA last May painted the picture of a forward-thinking reformer, someone who could shake up the administration of the game for the better. The former Partick Thistle managing director has kept a relatively low profile while getting his feet under the table at Hampden. In fairness to Maxwell, his in-tray included myriad other legacy issues to deal with, including the future of the national stadium itself and the review of historical cases of child abuse. But like all of his predecessors as chief executive, Maxwell will ultimately be judged on the success or otherwise of the men’s national team. He inherited the appointment of McLeish but must lead the process of finding a replacement for him when the time comes, perhaps now sooner rather than later. It is Maxwell’s neck which will be on the line and he may well be asking himself if the system of hierarchy at the Scottish FA is fit for purpose in an organisation which had a turnover of £38.4 million last year. Celtic chief executive Peter Lawwell, who stepped down from the Scottish FA board two years ago, publicly raised exactly that question in the wake of Stewart Regan’s resignation as chief executive last year. While Lawwell insisted there was nothing to be gained by “personalising” the issue, there was little doubt who he was referring to when he criticised those “who have presided over the SFA for a number of years” and called for a restructuring at the top of the organisation. 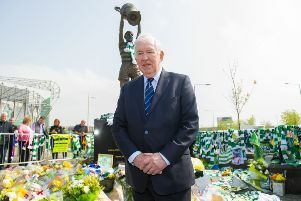 If Petrie simply ascends unchallenged to the presidency on 12 June, then any hope Lawwell or anyone else harbours for meaningful change in the way Scottish football is run will probably remain unfulfilled.